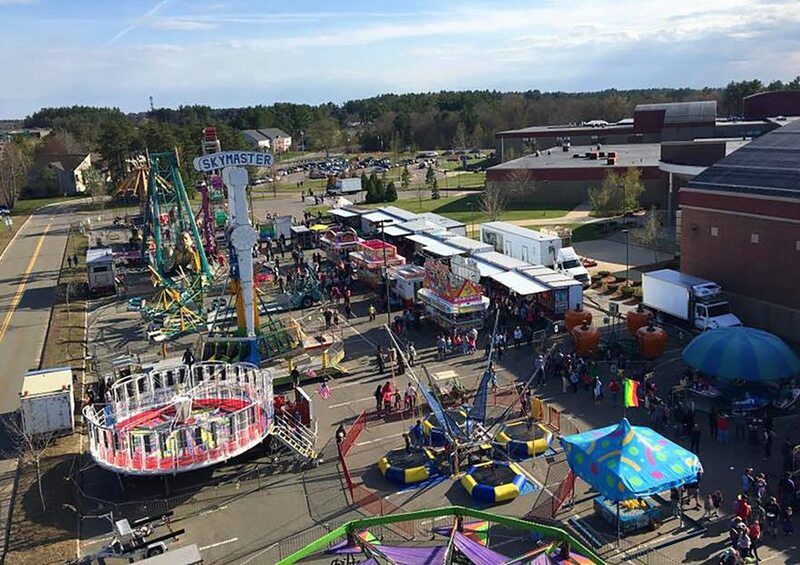 Courtesy photo An overview of a previous carnival run by the Spartans at Nashua High School South shows groups of visitors at various rides and attractions. The 2018 version of the carnival opens Wednesday at 2 p.m., and runs each day through Sunday. 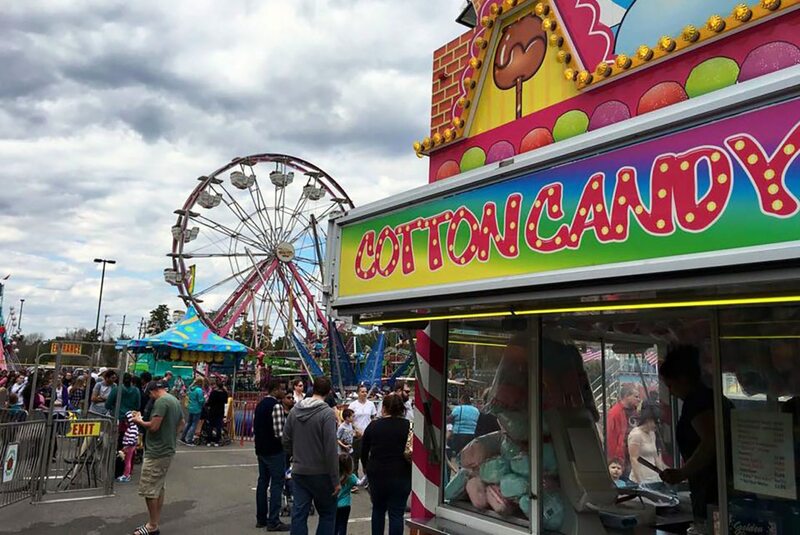 Courtesy photo Among the attractions that have endured at carnivals for decades are the cotton candy and candy apple concessions, both of which will again be part of the Spartans carnival that opens Wednesday afternoon in Nashua. Courtesy photo Several Spartans drummers joined a performer at last year’s carnival at Nashua High School South, where this year’s carnival will take place for five days beginning Wednesday afternoon. 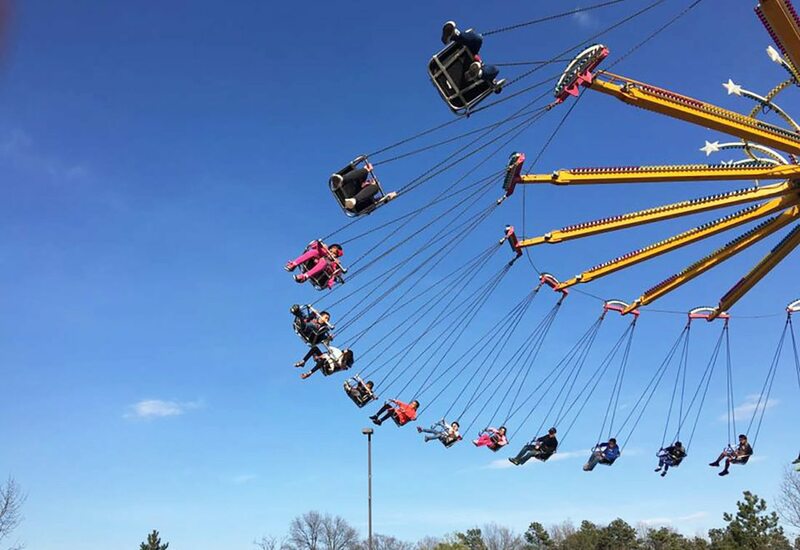 Courtesy photo Brave carnival-goers hang on tight as they take to the air on one of the more popular rides at the annual Spartans carnival, which returns to Nashua for five days beginning Wednesday afternoon. The weather’s finally warming up – that is, if you define “warming up” as “inching toward the normal high temperature” – so summer must not be far off, which means, for those who live the drum corps life, it’s time to start thinking about hitting the road again. 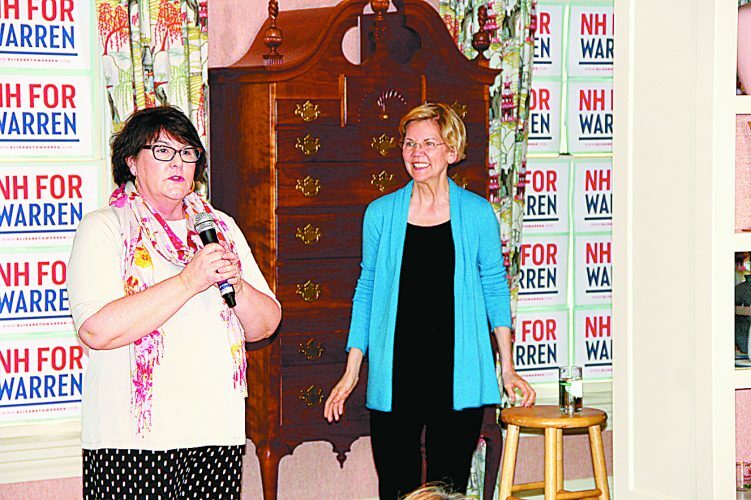 But here in Nashua, an increasingly popular springtime event is vying to become a pre-summer tour tradition for our very own Spartans, the perennially successful corps that invariably brings home a bagful of honors – and more often than not, some of the top trophies. This burgeoning tradition that seems to have taken hold as a sort of pre-game to the summer tour is a good, old-fashioned carnival with a few decidedly modern twists – for one, bright, never-burn-out light shows that can turn dusk into daylight across the carnival campus, and even “dance” to bass-heavy music blasting from the rides. 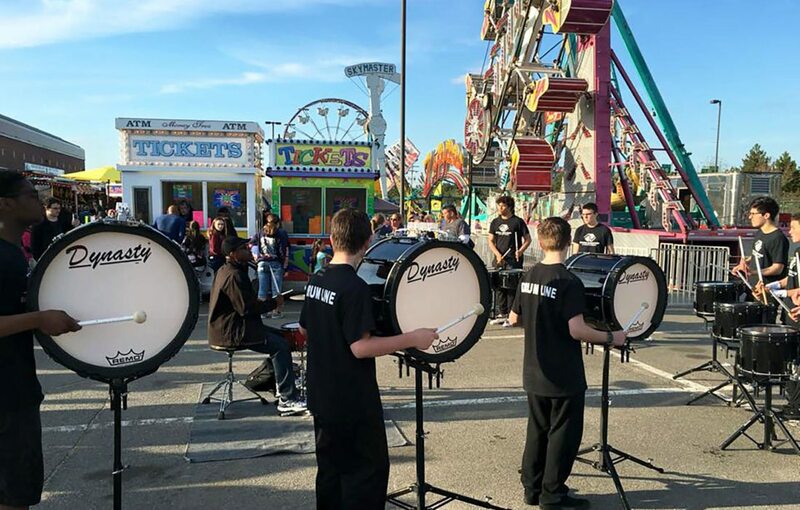 “It’s a fantastic way for us to raise funds as we get ready for our touring season,” Spartans president Paul LaFlamme Jr. told me back in 2015, when, after an earlier attempt went south, the new and improved Spartans carnival made its debut. Speaking of getting ready, that’s precisely what traveling carnival owner Mark Fanelli and his crew of nearly two dozen are doing over the next couple of days as Wednesday afternoon’s opening draws closer. Carnival hours and other details are included in an accompanying box. What especially impressed this aging baby boomer when I stopped by and experienced the carnival in full swing a couple of years ago was the size of the Ferris wheel, which seemed taller yet once the computer-choreographed LED lighting system kicked in. “Thing must be a hundred feet high,” I muttered to myself as I tried my best to see my way through the light show, quite sure I was about to get a faceful of cotton candy courtesy of an over-animated toddler. I was close; it’s 93 feet high, plenty high enough to act as a welcome beacon beckoning southbound Everett Turnpike travelers to jump off at Exit 5 and come on in. Courtesy photo Several Spartans drummers joined a performer at last year's carnival at Nashua High School South, where this year's carnival will take place for five days beginning Wednesday afternoon. To me, carnivals are one of those things that trigger a flood of fun memories, bringing me back to those special hours spent meandering through the crowd, some type of snack in hand, two or three others stored in my pockets until it was their turn to squelch my hunger. I mostly recall the ones at the old Simoneau Plaza, which, thinking back, was actually the ideal place for a carnival. Indeed, few if any places around could boast a parking lot that offered carnival-type rides – even when the carnival wasn’t in town. All you needed was a shopping cart, a distracted parent and plenty of unoccupied parking spots. And a sense of adventure. I’m quite sure carnivals were also held in the Holman Stadium parking lot, and way back in the 50s, perhaps very early 60s, I believe there was one that set up right on Main Street, about where Woolworth’s was at the time. 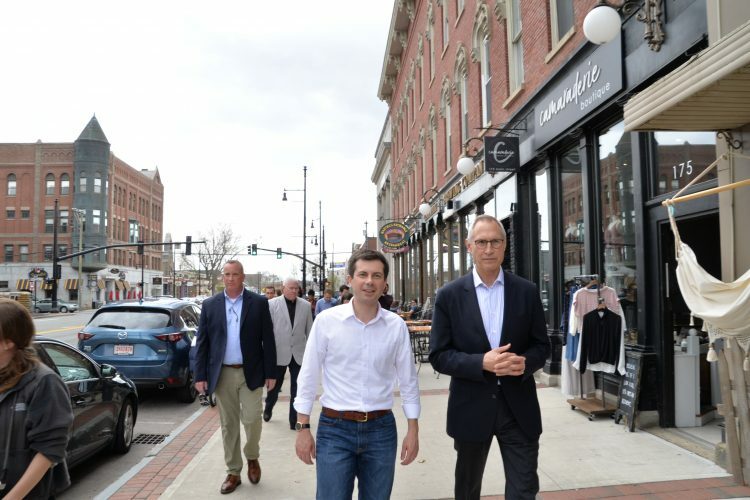 Longtime Nashuans will recall the applicant, or at least his name: James A. Lagios, best known as “Jimmy,” for years the de facto leader of the city’s tightly-knit Greek community and a social and political gadfly in circles that stretched way beyond Nashua. The licensing committee, made up of Mayor Oswald Maynard, Police Chief Arthur Higgins and City Clerk Irenee Ravenelle, denied Lagios his permit, explaining that they weren’t in the habit of granting anyone a carnival permit at the time. Their sort-of moratorium, it seems, was inspired by the barrage of complaints city merchants lodged “the last time a carnival played in this city,” according to The Telegraph account. 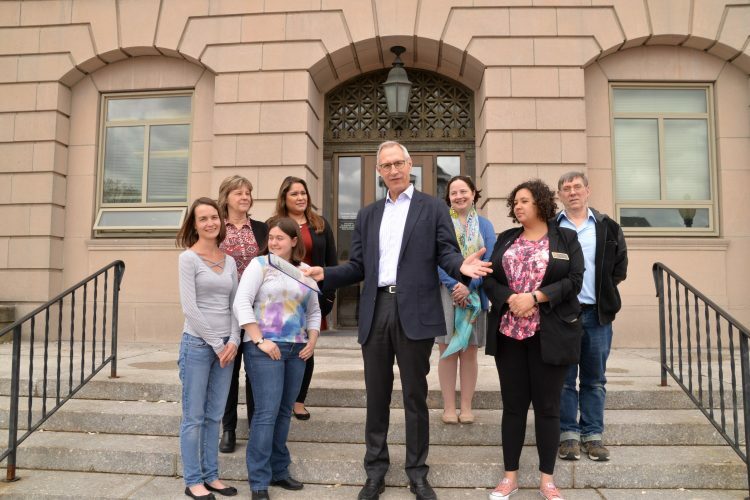 “Too much money was taken out of the city,” the merchants complained. Lagios “announced he will take a petition around to the merchants to get their individual sentiment,” the story says. I doubt very much he prevailed. Some 18 years earlier, at the start of the Great Depression, no less, plans for a carnival as part of Nashua’s 1930 Fourth of July celebration unraveled when the owner of the carnival “refused to accept the Fair Grounds because of the inconvenience to the public,” the Telegraph wrote. That location, of course, is where the elementary and middle schools are now; back in the day, all kinds of events, including horse and car racing, took place there. Instead, the representative of the carnival, called the “William Glick Shows Inc.,” sought, and was granted, permission from the owners of the Balcom property to set up the carnival there. The property was on the north side of Lake Street between Pine and Balcom streets, and surrounded Sandy Pond. 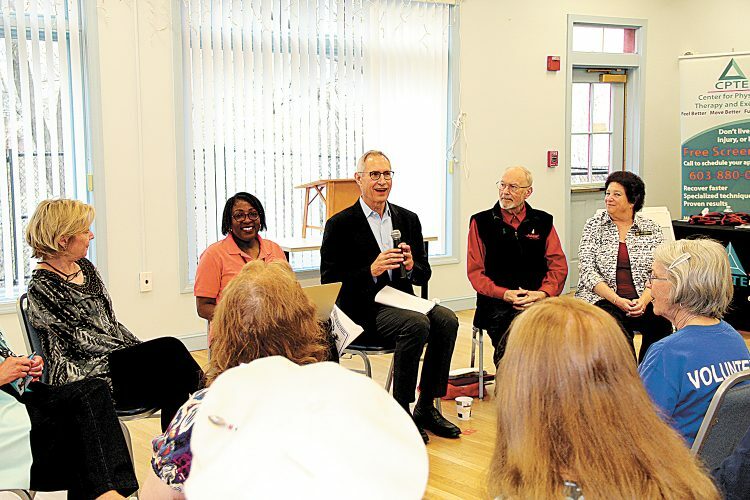 The carnival people were also offered the South Common – where Elm Street Middle School is now – but they said “thanks, but no thanks,” after about 100 neighbors rose up in opposition. In August 1934, a good-sized Telegraph ad announced a carnival hosted by the Salmon Brook Club on its Chestnut Street grounds, which is now the southern section of Chestnut Street that dead-ends at the brook. Dancing, free prizes, and special attractions were promised, the highlight of which was a “Baby Beauty Contest” for ages 6-18 months. And back in May 1928, “The Greatest Carnival by Garde Marquette” was advertised in the Telegraph. It was to be held on the aforementioned Balcom property for “one whole week,” and feature “a wealth of attractions” including Ferris wheel, chair planes and “over-the-jumps,” whatever that was. Makes one wonder whether Ms. Thomas’s appearance may have had something to do with city officials denying Jimmy Lagios his carnival permit some 20 years later.